Spring is pretty much in full swing, which means it’s the season of catastrophe, cataclysm, and crisis. Yup, you guessed it, it’s budget season in Pennsylvania. For faculty, staff, and students in the Pennsylvania State System of Higher Education (PASSHE), that means that your email inbox will start to be filled (if it hasn’t already) with messages of doom-and-gloom from your university Presidents or Vice Presidents of Administration and Finance. “The sky is falling,” they will say. 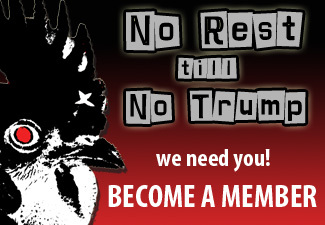 “There is nothing we can do,” they cry. “We are victims,” of some quasi-force-of-nature that is wreaking havoc on the hallowed halls of academe. It might be painful, we are told, but we are going to have to throw some of our ideals, traditions, programs, and, yes, colleagues overboard if we are going to be able to save the ship. 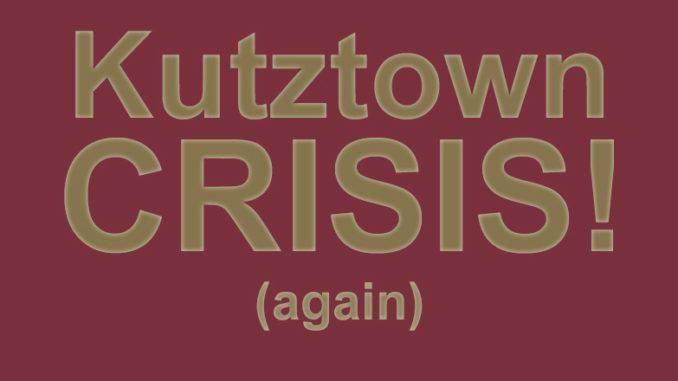 Writing from the vantage point of Kutztown University, I have tracked both Kutztown’s and PASSHE’s use of “crisis” to eliminate jobs, slash academic programs, and degrade the quality of our working, teaching, and learning environments. They deploy shock-doctrine tactics in the shadow of sparkling new building projects, campus beautification initiatives, and six and seven figure public relations campaigns. I profiled Colleen Bradley, the former Director of Budget and Financial Planning at West Chester University, who was fired for blowing the whistle on the university’s and PASSHE’s fraudulent budgeting practices. 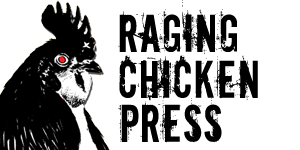 The same practices that I had been writing about in the pages of Raging Chicken for years. The same practices that Eastern Michigan University professor of accounting, Howard Bunsis, exposed as smoke-and-mirrors in his analysis of Kutztown University’s claims that it was facing a fiscal crisis. The new-ish PASSHE Chancellor (this time, a guy with glittering Silicon Valley credentials and really good hair) has persuaded the faculty union to join him in interest-based bargaining since everyone is interested in saving the State System, right? Meanwhile, on the campuses we are starting to see the same old language of crisis again. “The Sky Is Falling!! !” Cut. Gut. Punish. Such is the email sent Tuesday to faculty and staff by Kutztown University president, Kenneth Hawkinson. Despite a “very successful year at Kutztown University,” Hawkinson writes, “it is necessary that I share a series of concerns regarding our budget situation for the next academic year.” He touts his accomplishments in slashing KU’s budget by nearly $14 million since he arrived at KU and more that $17 million in cuts over the past five years. That’s got to put him out front in the race to the bottom, for sure. Austerity 101. Despite the many “successes” such as raising tuition by 2.99%, getting a 3.6% increase in state funding, $2.5 million in university-wide cuts, and forcing students to pay an additional “Campus Support Fee” there are dark storms on the horizon (of course). Yes, “various factors are coming together [like a….Perfect Storm, maybe??] that will make our budget situation very difficult” next year. Hiring freeze – there are currently 43 non-faculty open positions on campus; nearly all of these will be frozen. The vast majority will be eliminated from our base budget. We must continue to hire faculty to teach our classes, but all efforts must be made to ensure all classes being taught are fully enrolled. The temporary faculty budget will be reduced and all efforts will be made to rely on existing faculty to teach our classes. Beginning July 1, a 10 percent across the board budget cut will be implemented to all base operating budgets next year (these would be non-personnel dollars). Be afraid. Be very afraid. Don’t stick your neck out, because the hatchet-man cometh. Frankly, for all the talk of “innovation” and “new ideas” that gets batted around in public relations initiatives at KU and across PASSHE, this is the most boring, predictable, unimaginative, and spiteful approach possible. Congratulations. Gotta say, this is an AWESOME way to end the semester.